Got Bounce? 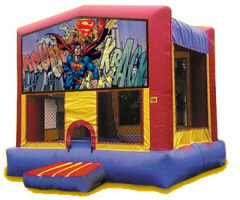 This Module House Jump provides over 150 square feet of pure bounce, perfect for all size gatherings of friends! Classic styling, economical pricing and interchangeable art panels make the Module House a must-have for every party.